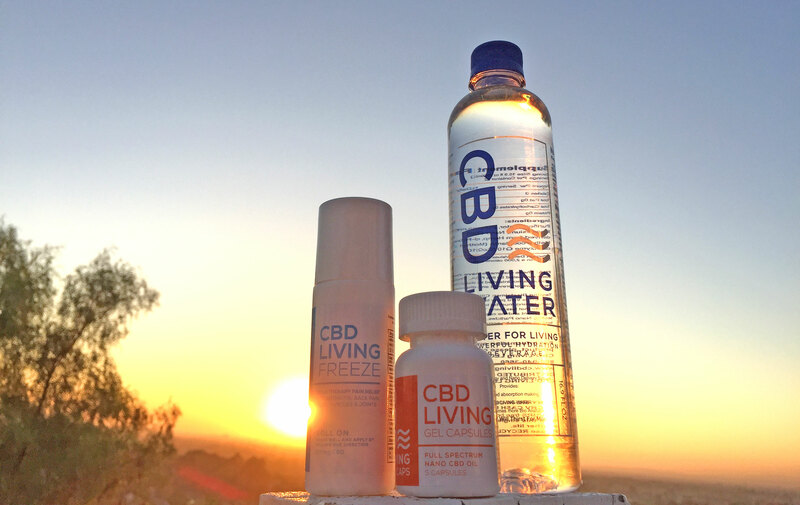 CBD Living Water Review - Does it Work?! Tested and Verified. Shopping for CBD products is unlike shopping for most things; usually frustrated by this point, possibly in pain and suffering from a difficult to treat ailment, often shoppers they just have the internet to find reliable CBD reviews to help with their decision. Even with CBD Living Water products, the decision is also a pricey one – one of true value, yes, because after all, a truly good CBD product is going to change your health, your happiness, and the way you live. Consumer trust, consumer faith are all very important, and with this fully in mind PureGreenLiving has fully endorsed CBD Living – both its products and its service. Besides loving the products ourselves and using the products regularly, we’ve found another great part of this company – it’s transparency about third party testing. Each product has a link to it’s test results right on the site. One look at even their inspirational Instagram page – which has 28k followers (at the time of writing this) – will show you that they are a company that really believes in the green, natural and healthy lifestyle for the mind, body and spirit. CBD Freeze Reviewed, Hit or Miss? Freeze, a topical in roll-on form, is one of the most direct hitting topicals we’ve tried. After rolling it on, I experienced an immediate cooling menthol sensation (it contains 3.7% Menthol USP) similar to that of ben-gay, but it felt more intense and its effects came quicker. To my surprise, it instantly started absorbing and the cooling and numbing effects began right away. No seriously. The CBD Living-Freeze does not contain any NSAIDs, IBUPROFEN, ASPRIN, or SALICYLATE, in case you were wondering. Since then, I have happily swapped my Icy-Hot rub on gels with the CBD Living “Freeze” and haven’t looked back. Water is made to be delivered to the entire body so it makes sense that CBD water is one of the newest best things. CBD Living Water has nano-infused CBDs into 7.4 PH water for a shot of CBDs meant to be delivered as a very direct shot of medicine. The water tasted like normal water! Using the laws of quantum physics, they’ve created a product with an amazing bioavailability because the nano sized particles are easier for the body to absorb quickly. Many who have tried it say that hey see its effects usually by drinking just a 3rd of the bottle. I unknowingly downed an entire bottle thinking that was the serving size, and felt a nice relaxing calmness throughout my body. The 6 pack is well priced in bulk for less than $45 plus free priority shipping. A friend of mine had a killer hangover, one that topped the books for her. After chugging green smoothies, tons of water, resting and even a little weed, nothing worked until I offered her my CBD vape pen. With about half a dozen draws, she felt a lot better already! CBD Living Water’s CBD vape oil cartridge contains half a gram and runs for just $50. These cartridges are made from 100% CBD oil extract from full spectrum CBD. Used with the always universal 510 threaded cartridge, we especially enjoyed the bubble gum flavor as a nice pick me up. This vape is one of few we’ve seen with so many flavors: bubble gum, sour diesel, and tangie are all fun tastes. Even with the flavors going on, the vape felt thick and pure. Everyone felt a clean, and sustained relaxed feeling afterwards. We were really impressed by the testimonials from CBD Living’s customers. People with all kinds of ailments raved about the products. I read one from a mother of a 4 year old with seizures, another from a young woman with a terrible hard to treat cough, and then another from a 62 year old women with a gamut of ailments that ranged from mental to physical. All were grateful that CBD Living products gave them relief and true medicine for them. Hearing reviews from other customers who admitted they’d never smoked weed or tried anything a doctor wouldn’t prescribe was really uplifting. These customers were not just satisfied, they expressed stories of healing and of gratitude to CBD Living and it’s products. CBD Water is amazing and has helped with a number of issues including IBS and muscle recovery. I have have found that I prefer CBD ReHydrate.. CBD Rehydrate is much more cost effective and contains 5.3 mg of nano CBD AFTER processing. The taste is amazing and has the same “soft” qualities as premium water. They also have seasonal flavored water available. The company itself is very responsive and makes themselves available to answer questions (great customer service is key).